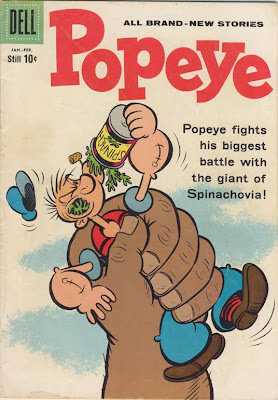 Original cover by Bud Sagendorf; Dell 1960. Tommaso Di Spigna's website is here. 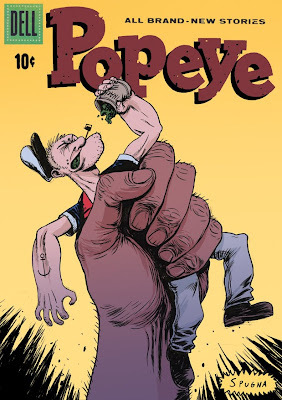 I always like people attempting to recreate the mess that is Popeye's face. Pretty great!!! Makes me laugh. thanks! very funny to do this cover. This is really nice. I like the more realistic approach taken on the new version, as well as the subdued color palette.